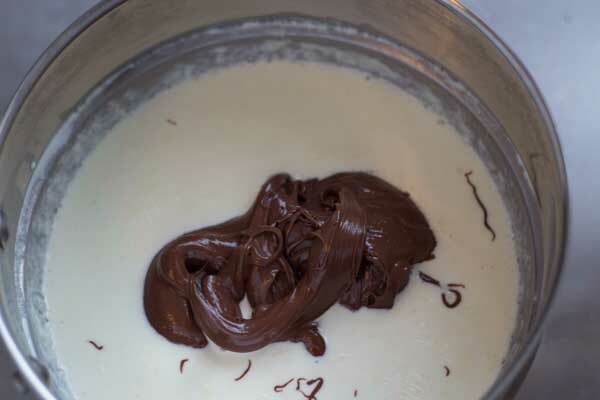 Hazelnut chocolate ganache is perfect for icing cakes, sandwiching layer cakes and biscuits and filling tarts. 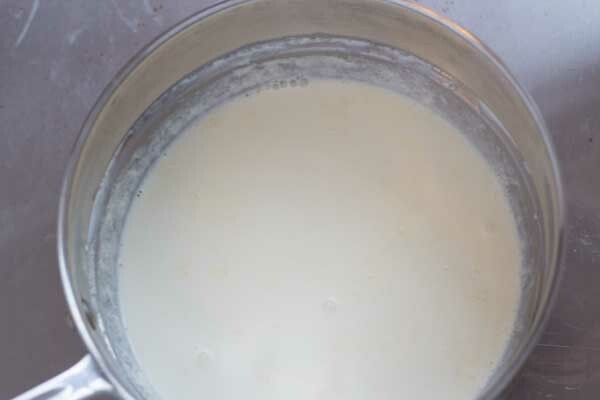 In a bain-marie over medium heat, heat the whipping cream and milk to 55-60C. 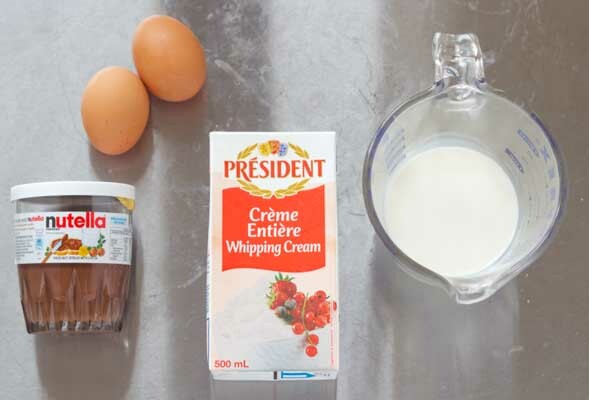 Remove from the heat and add the Nutella stirring until melted. 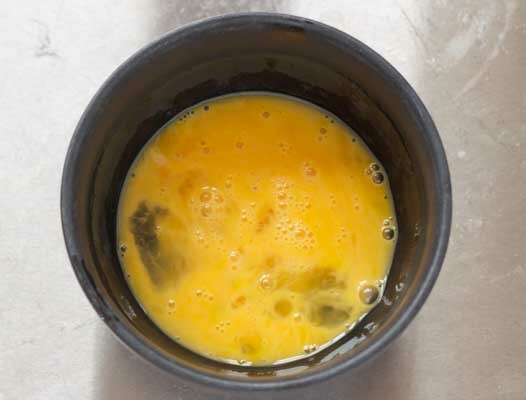 In a bowl, add 1 whole egg and one egg yolk and beat with a fork to combine. 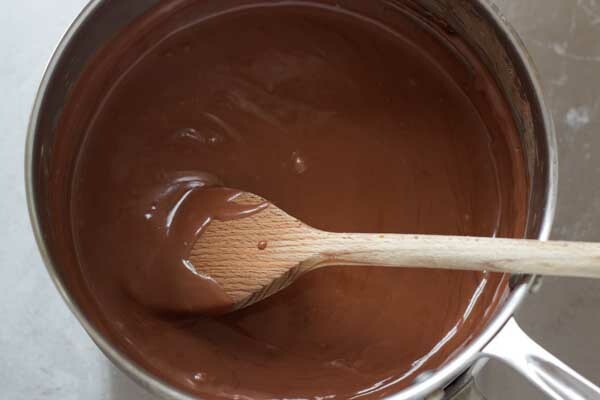 Chocolate ganache can also be flavoured with orange, tea, spices (such as cardamon, cinnamon or vanilla) or herbs by infusing the cream with the flavouring and then straining before then adding the chocolate.